What a Difference TODAY Makes! What a fabulous once in a lifetime experience! I proudly told about my former weight and my current weight and that I had done all my weight loss being over 50 years old! The old jokes are there are two things women never tell, their age and their weight and I did both on national television, it was an empowering experience! 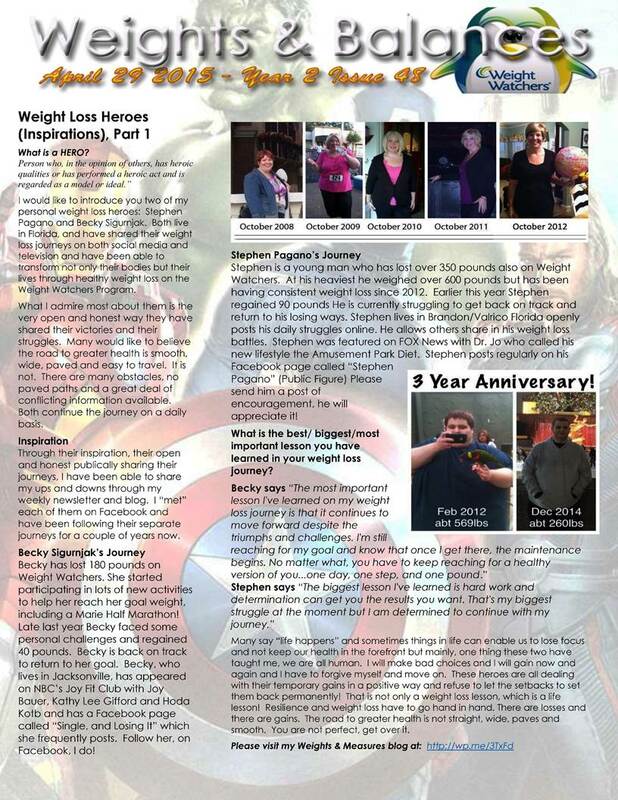 I hope that my story gave someone hope that they could turn their health around and get healthy at any age! In my opinion, to become a member of the Joy Fit Club and appear LIVE on the Today Show with Joy Bauer, Hoda Kotb and Kathie Lee Gifford was the “Super Bowl/World Series/Stanley Cup/Triple Crown/Indy 500/World Cup/Grand Slam” of weight loss!!! And a cool bonus, I got to meet and talk with Dean Cain and he knows about the USF Bulls! I have enjoyed his acting back to the Lois and Clark days and most recently his many Hallmark movies. Now, where to go from there? There are a few other things that have not been published yet that I am very excited about as well. The Today Show appearance has opened a few doors for me to speak about my weight loss at Weight Watchers Meetings but also to be interviewed and filmed to create training films for professional Weight Loss Counselors and the videos will also be used at Penn State in classes for counselors to learn about counseling on weight loss. It has given me the confidence to start writing a book. 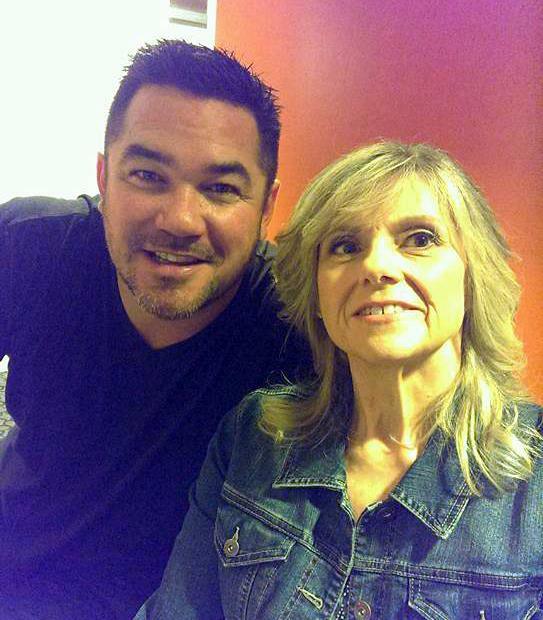 It gave me a better perspective on my breast cancer diagnosis. (more about that later!) It seems more of a learning tool and helped me to feel I can turn it into something positive for others through sharing my experience. 2015 has been quite a year and it isn’t over yet! I have another project I am working on creating a proposal for another project to help others with my experiences as well. If 2015 is any indicator 2016 should be an awesome year too! 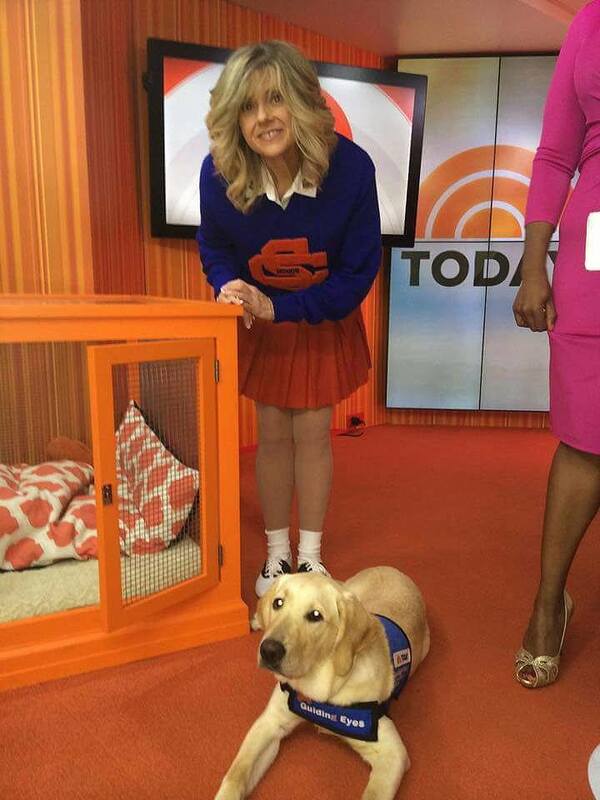 Top Photo – Me with Wrangler at the Today Show, he is a very cute guy! He loved my mom too! Did I say he has great taste? 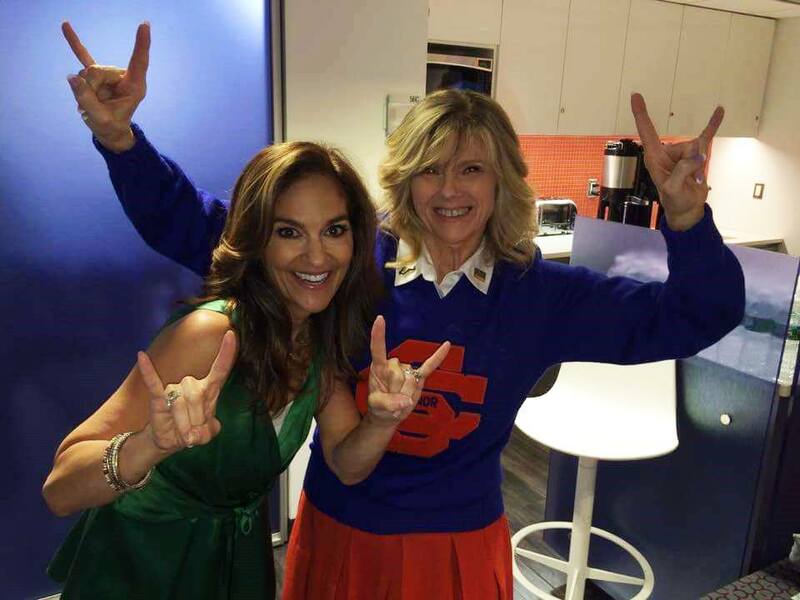 Next, Joy Bauer and me doing the “GO BULLS” symbol in the Orange Room post show! Next below, Me being interviewed post Today Show by Rod Carter, News Channel 8 in the Orange Room. Bottom, Dean Cain and I in the Orange room prior to being on the show. What a cool BONUS! Very bottom, the picture that caught the eye of the NBC producers. 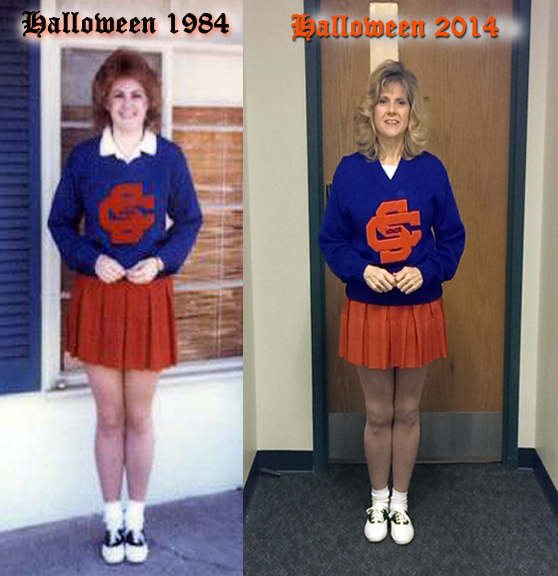 Me in my Halloween costume in 1984 and again in 2014, thirty years later! I recently blogged about finding old unflattering photos of myself and said I would explain later why I was hunting up old photographs of myself when I was at my heaviest. Here is why I was dredging out the old photos out of the box hidden in the closet. I had been asked to locate and send to a producer those photographs to help them make a decision. What decision you might ask? 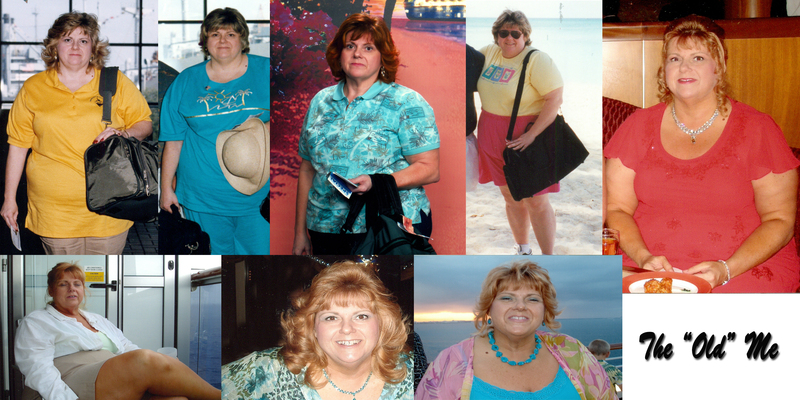 I submitted my story/journey to Joy Bauer’s Joy Fit Club. To become a member the minimum weight loss you have had to achieve is to have lost one hundred pounds. I can check that off, I had indeed accomplished that! I went through her site and read many success stories and realized that many had lost much more weight hundreds of pounds. I kept trying to be positive and think you never know until you try! I started to select some pictures to attach. What to select? I found a few pictures to attach, took a deep breath and clicked on the submit button. I could exhale now. I had submitted my information no matter what the outcome would be. I felt empowered! I felt happy! I felt proud! I felt accomplished! I was giddy from excitement! Now, the reality sank in, and my mind started talking to me to not expect any response and to know that to hear nothing did not negate my success. I walked away from the computer and felt good about what I had accomplished in just the act of putting it “out there” for the show to view. About 15 minutes later, I came back to the computer. Not only did I get a response, they wanted my cell phone number so they could speak with me. 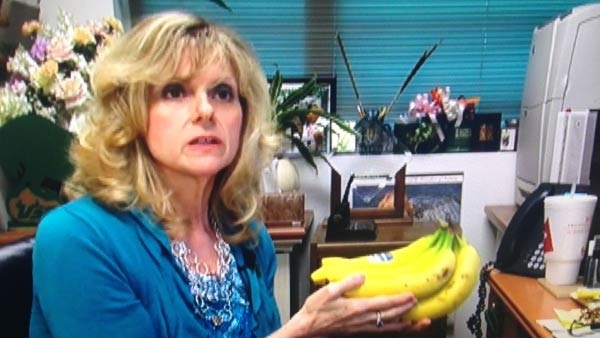 A few days later, I had a phone interview with one of the show’s producers about my weight loss journey. She requested that I send them some additional photos to help them make a decision. I was walking on air after the phone interview! I was thrilled to be considered as a possible guest! The producer had said they would make a decision next week. Last week was “next week” and I was away on a five night cruise. I explained that I was going to be away on vacation and would try to check email in both Grand Cayman and Cozumel while I was on the cruise. I tendered ashore in Grand Cayman to seek out free wi-fi to check my email. I had 238 emails which were trying to download and among those emails was the one I was wanting to see! I know it was a huge honor to just be considered for the Joy Fit Club and truly felt no matter what the outcome would be that I should be proud and happy to have reached my weight loss goals. That a “no thank you” didn’t invalidate my journey nor my success. I clicked to open the email; I read it about three times. Then I looked at my mom and read it aloud to her, “We would like to invite you to be a guest….” (and there were more words, but those are the ones I had to re-read several times). Those words took my breath away! And then my mind went on a wild journey of questions, thoughts and imaginings. One little trip my mind went on was “Oh my! I have to be really strict with my food choices! I can’t gain an ounce!” I heard my “perfectionist” voice try to rear its ugly head. I had to shut it down quickly! I knew that voice had ruined so many things in my past so it had to be silenced. I let logic take over and knew that I could not re-gain 135 pounds in 3 more days no matter what unwise choices I might make! A sense of calm came over me, and I thought that through the journey, I only had to be consistent at least 70% of the time to have great results! 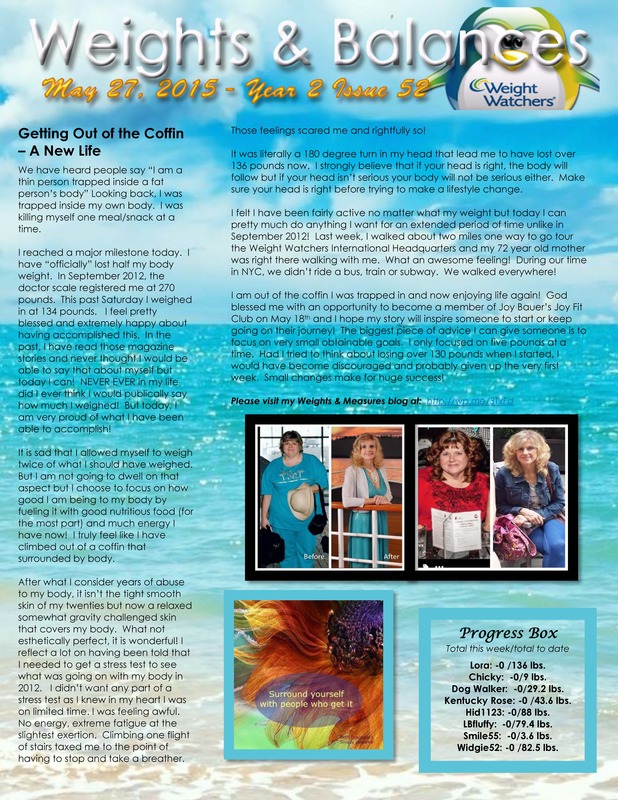 Two days of the cruise were behind me and I had not gone crazy or made unmindful choices, I knew I could do this! I did have a few indulgences, but they were planned ones. When I returned from the cruise, I checked my scale on Sunday morning and I was up .6, yes that’s just 6/10ths of a pound, a little over a half a pound! Yay me! This week, I am focusing on getting that .6 (and a little more) off before my official month Weight Watchers weigh in on Saturday Morning. Now to keep focused on my health and journey and savor the experience. Below are some of the now cherished mementos of my past freed from the dark corners of the storage closet.